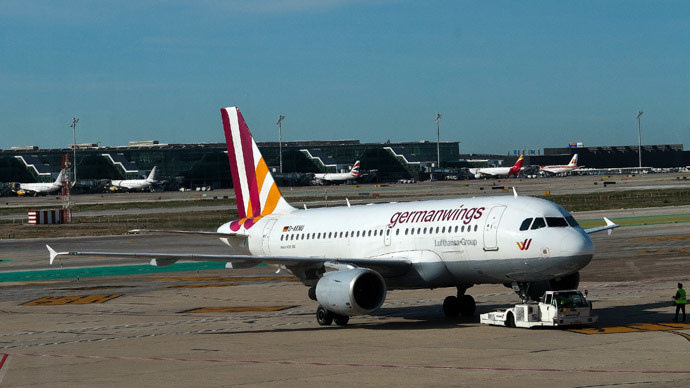 A Germanwings Airbus A319 was forced to divert to Stuttgart after it started losing oil – just a day after another flight operated by the company was forced to make an unscheduled landing in Venice when two passengers fell ill. Flight 4U814 from Cologne to Venice with 123 passengers and five crew was forced to land in Stuttgart on Saturday, after the plane started losing oil and the pilots shut down one of the engines. “This is a standard safety procedure. It was not an emergency landing,” the airline stressed. Technicians are now examining the aircraft. On Friday, another Germanwings Airbus on its way to Rome from Hanover made an “alternative landing” in Venice after a passenger and a crewmember became ill.
“We saw the plane gradually descending and then Venice’s lagoon appeared. When the plane landed, the captain told us over the microphone, in English, that a crew member and passenger were unwell and so he had decided to land at Marco Polo,” he said. The two unscheduled landings come as the budget German carrier is in the spotlight after a plane traveling from Barcelona to Dusseldorf crashed into the French Alps killing all 150 on board. Investigators, who have now recovered and at least partially examined the data from both black boxes, believe the co-pilot Andreas Lubitz may have intentionally downed the plane.